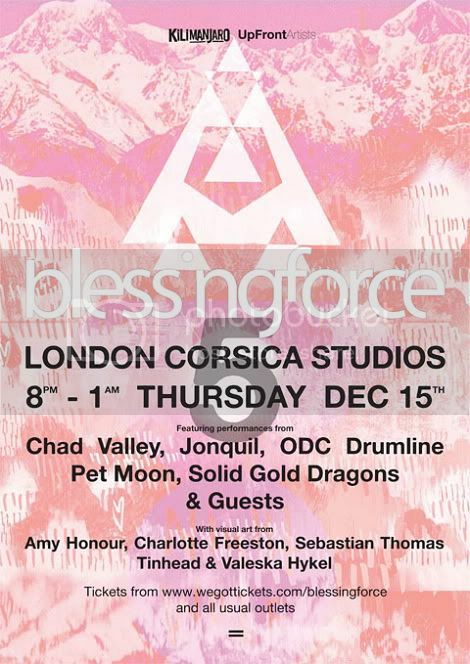 A couple of Blessing Force shows are taking place in December (details below) and to get ya'll axcited about it they've released this Edwin Congreave (Foals) remix of 'Fast Challenges' by Chad Valley. A couple of Blessing Force shows are taking place in December (details below) and to get ya'll axcited about it, they've released this Edwin Congreave (Foals) remix of 'Fast Challenges' by Chad Valley. The original is taken from the Equatorial Ultravox EP, which we highly recommend.